This post will address the relationship between the adrenals and other endocrine glands, but first a couple of news updates, not exactly today's news because they have been on my desk for a while, but for those who are not following the stories, the events are encouraging. Well, I got sidetracked. The bill passed the House 114-30! This shows what grass roots activism can achieve. Okay, I can close a few browser windows and get on with the story. Now, to the adrenals. I have been lecturing on this topic and posting on it for decades so what can I say that has not already been said. Since we depend on the adrenals to protect life in the physical form, they are always on duty, even when we are sound asleep. 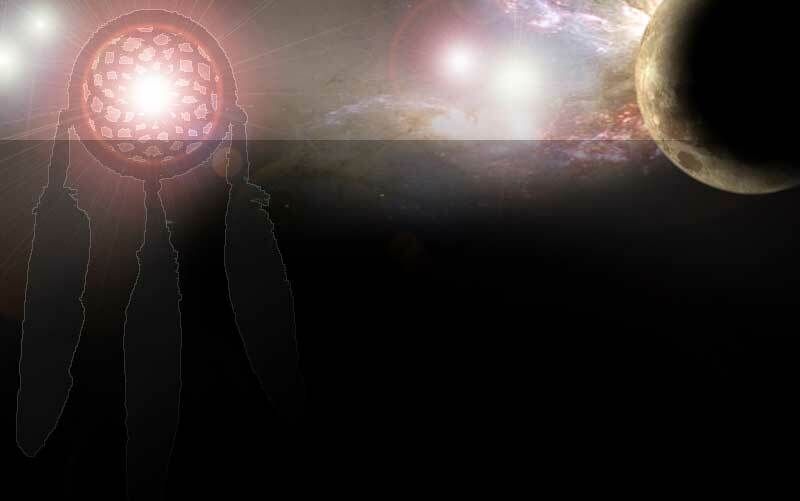 They are governed by the first chakra and this chakra works below the threshold of consciousness. I believe this is why we can sometimes sense something before it actually happens. Under normal circumstances, the chakra would turn rhythmically, the speed depending on a number of factors such as the level of shall we say sensitivity versus intent. I actually want to take up this subject because recently, it has seemed to me that it is not at all normal for the first chakra to establish its authority by dominating others. By this, I mean that I am questioning the thesis that perhaps half the population has a first chakra that turns counterclockwise and half have one that turns clockwise, the difference in rotation determining the balance of the fight versus flight mechanism. Someone with a very dominant first chakra can lord it over lots of people — and animals and plants and earth. Given the magnitude of misuse of power, I am now wondering whether the aberrations we see in the human psyche are due partly to some event far back in history in which a group of individuals decided to dominate. To do so, maybe they had to reverse the rotation of the first chakra, but this could have truly far-reaching consequences. I have no proof for such an event, but the idea keeps sneaking into my mind and somehow I am wondering if this rotation is actually normal. It would, of course, not look normal to someone like myself who has no interest in power. If we are all obedient to the divine, we would not have any use for personal power since we would never willfully act against the Creator. Then, we would lead through whatever inspiration flows through us, not through might or tyranny or the desire to control others. This could also explain the paranoia that creeps into our space when we do things that we should not do. It is possibly Nature at Her best teaching the way to remain in harmony. What this has to do with the new formulas is that I formulate so I am responsible for putting together herbs that have a particular synergy and action on the body. Unlike those who study traditional systems of medicine and copy formulas that have been existence for centuries, I am looking at what I see in our present day world and realizing that we are no longer in a natural state. For instance, if we go back just a hundred years, there were no microwave towers, exposures to man-made radioactive materials, genetically modified organisms in our food and probably elsewhere as well. Right, the world was not perfect. There were wars and epidemics and ignorance on a grand scale, but the world was still essentially organic or natural. Rulers perhaps were never "natural" since their claims were nearly always based on might rather than merit, but this is the undercurrent of my own thinking at the moment so the formulas reflect all that I am considering when trying to help people who are victims of the modern stress. The concept of yin and yang does not require the dismantling of any chakras. Yin and yang are connected and this has been symbolized by the dots inside the spheres in which each energy predominates. The nature of yin is to be receptive, quiet, calm, nurturing, and vulnerable to influence. She is dark and is hence deeply affected by light, not always in a positive way. This depends on the amount of light and how it is projected. If one is magnetic and incapable of initiating action, one depends on discernment and the option of rejecting influences that do not feel good. Hence our society has placed a value on the right to say "no" because it is the strongest power of the feminine. The reason one retains this right is that the right of self-protection is fundamental to our existence. We can do this by avoiding what is unpleasant and opting in only when this is truly our preference. As such, coercion is not acceptable, yet we find it everywhere these days. Reclaiming power means having the ability to choose and having that choice respected so a part of the contract between yin and yang is that her receptivity is contingent on his respect. Otherwise, she reserves the right to deny him the response he seeks — which loosely translated means he cannot express in an incarnate manner because to do so means that yang has a yin partner. Yin types are sensitive and often vulnerable. They are also often victims of the intent to influence by others. Another aspect of the feminine is that it is experiential, meaning that events are processed. The psyche judges experiences and files them into memory. It does not seek experience much less initiate experience. It depends on approach, meaning the magnetic nature attracts attention and then chooses what to accept and what to reject. As noted, overriding the right to say no is a violation of the feminine and ultimately these violations will cause the fall of individuals and society since yin and yang are interdependent and must cooperate. There will be no voluntary cooperation if the approach is not welcome. I want to make this concept as practical as possible because only then can we appreciate what the issues are on a health level. Certain diseases are due to what we would call yin surfeit. Cancer is one of the best examples of this. Underlying the development of malignancy is a deep wound to the yin, enough to cause damage to the organs. This harm can be physical, such as sexual abuse or risks associated with exogenous hormones. These could be prescribed or hidden in our food, such as bovine growth hormones in dairy and animal products. There are also endocrine disruptors in our food supply, Schedule II drugs like Aspartame in many foods and medicines, not to mention industrial pollution, chemtrails, pesticides and herbicides, and so on and so forth. Cognisant of these factors, I formulated the Yin Elixir in such a way as to enhance the coping margins while simultaneously detoxifying the body of residuals of foreign substances. It also promotes gentle regeneration of the damaged tissues, especially the brain and nervous system because the alerts and alarms that enable us to discern and discriminate depend upon functional synaptic responses and good judgment. This is no quick fix formula. It is subtle but it achieves its goals in a yin manner: calmly and peacefully doing what is necessary without bells and whistles and fanfare. The Yang Elixir is different, but I did not take the position that there is something inherently wrong about yang energy, rather that its modus operandi is different. It is radiatory and has initiative. Being more active, it uses a lot of energy to achieve its objectives and the reservoirs could go empty. So, this formula has adaptogens that support the ability to use energy on a sustained basis without a rise in cortical hormones or damage to tissue. When we push ourselves beyond our normal limits, we flood the body with steroidal type hormones that can lead to a variety of health complications, including what I see as widespread testosterone toxicity. I want to be very cautious about what I say here. We need both yin and yang, but when pushing over the limit, we can leak steroids into the bloodstream and create complications that are not typical of what we would call ideal yang behavior. If we want to be a bit crude, we could say that the difference between a thug and a gentleman is in the mastery of male energy. If we do not understand the importance of cooperation, we will fall under the mass media hypnotic spell that power gives us the opportunity and somehow the right to act outside conscience. This is socially catastrophic, but there are medical implications as well. The yang cannot express in incarnate form without the assistance of yin. The yin cannot experience vitality without yang. They must cooperate; and when they are in perfect harmony, the body itself is invincible because the seeds of imbalance are checkmated by the bliss of cooperation. 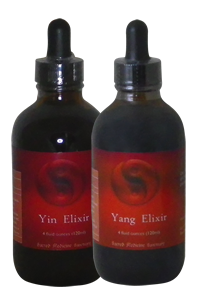 In a way, I have formulated the Yang Elixir to allow exertion without promoting toxic behavior. Again, this is accomplished partly by extending the margins and partly by promoting mental clarity. The yin and the yang exist within each of us so while we have partnerships with others in which one or the other may act out more of the yin or more of the yang, we also have these two dancers inside ourselves. I actually believe that so long as they are in balance, nothing will go wrong. I have often used AIDS as an example of imbalance. Here, we call it an "acquired immune deficiency syndrome" but in China, it is referred to as a "yin deficiency" condition, meaning that there is more yang than the yin can handle so part of the yang goes amok. In this case, the circuits are fried. Now, it is tempting to ask how one would correct a yang surfeit condition if there were no willing yin? I think you see the handwriting on the wall and can now figure out the ramifications. Curiously, our salvation seems to rest on our ability to stay in balance. I would probably say it is impossible to be in balance if either the mind or emotions dominate. They, too, must respect each other. The mind must listen and learn and the emotions must discern when the mind is to be trusted and when it is governed by ego. The mind was meant to be illuminated but it is often disconnected from this source of wisdom. It then parrots what it learned on the street instead of what came from a divine source. This is our dilemma and why I am formulating herbs that help us to sustain our energy and keep it in focus long enough to allow us to achieve our objectives in the world of endeavor.